So, I thought I would try to increase my exercise slightly. It might be my disease talking and if it is, I’ll keep an eye on it. I’ll talk to my sponsor about it. But, for now, I feel okay. I signed up for a challenge on Lose It! that works with my FitBit. To do 12,500 steps a day. 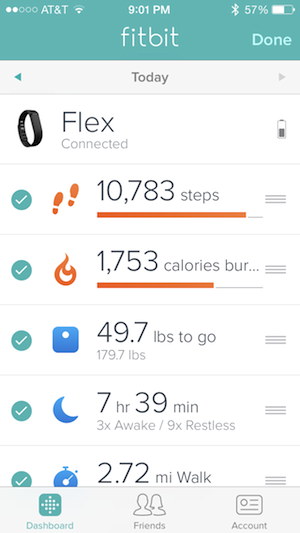 It says 12,000 steps a day, but when I divide 375,000 steps by 30, I get 12,500. Every night, I’ve found myself hovering at the point where I used to feel proud of myself, which is 10,000 steps. The bad thing about this challenge is that they didn’t account for rest days. If you want to take a rest day, you have to do MORE than 12,500 steps on your “On” days. For example, if you want one rest day a week (or four days in the month), you have to do 14,424 steps a day to make your monthly goal. I’m struggling just to do my 12,500 a day, hopping on the treadmill to squeeze in a couple thousand steps right before I go to bed. I can’t imagine trying to do over 14K a day.